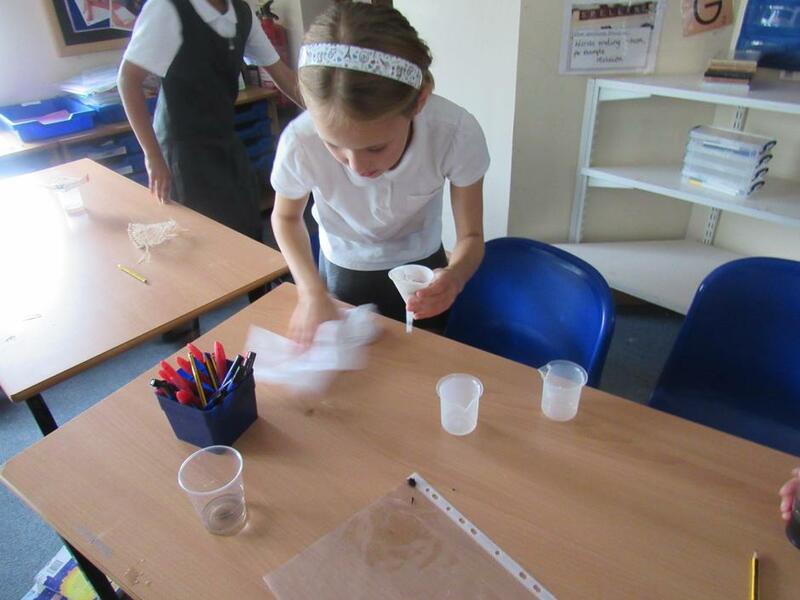 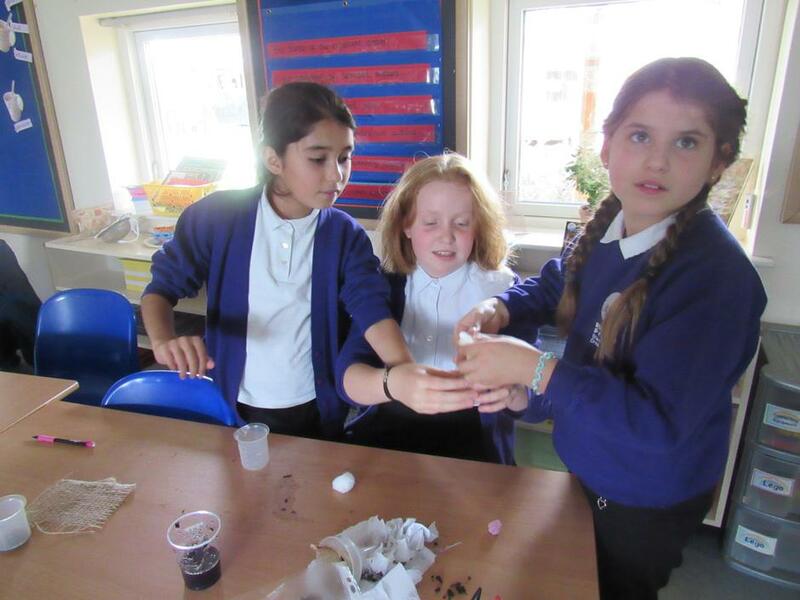 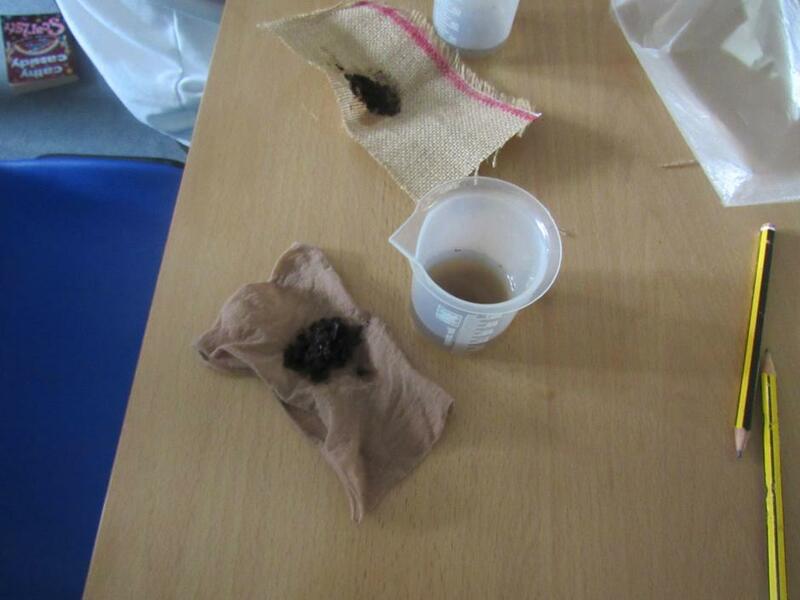 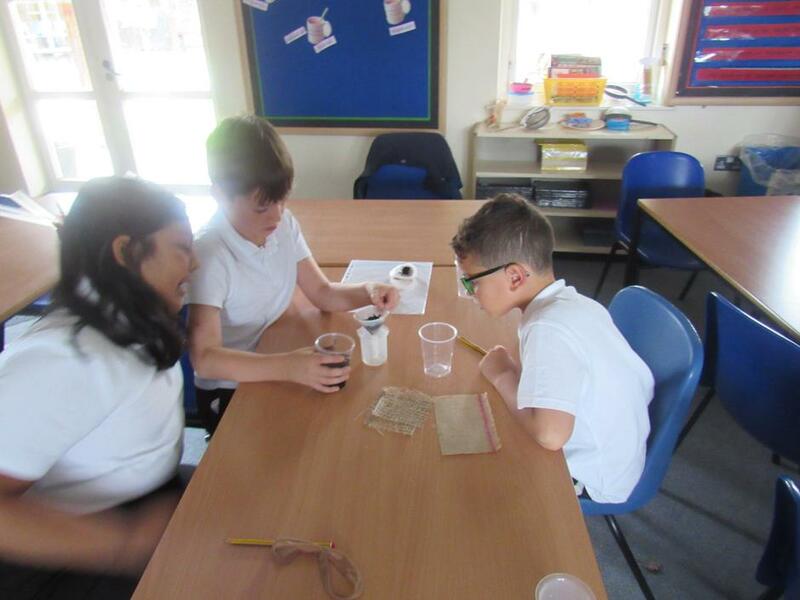 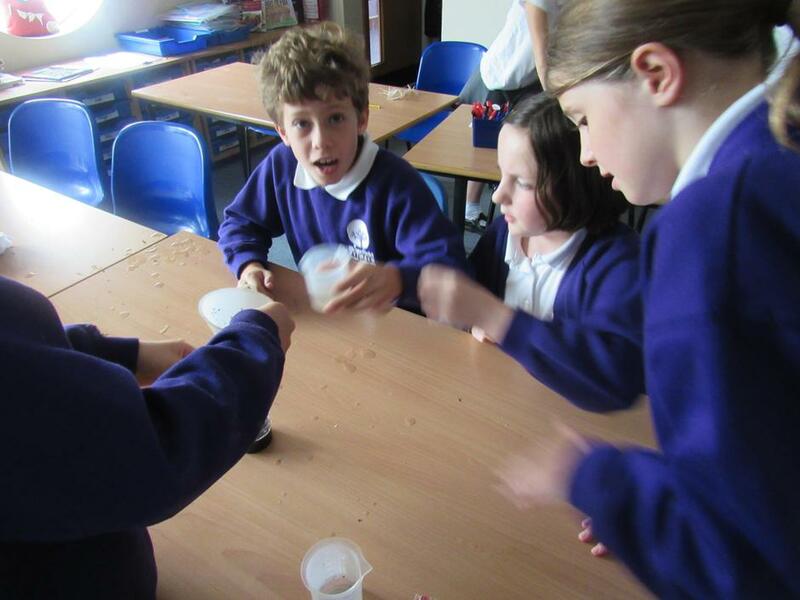 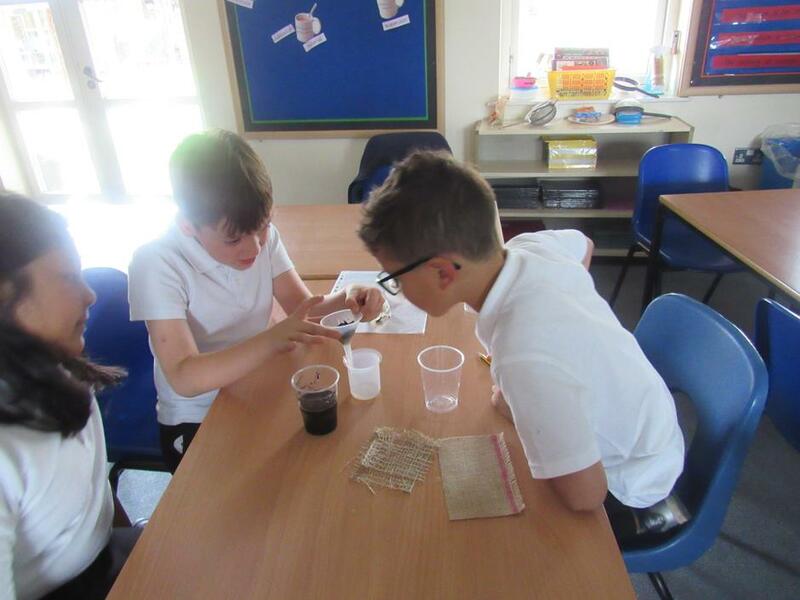 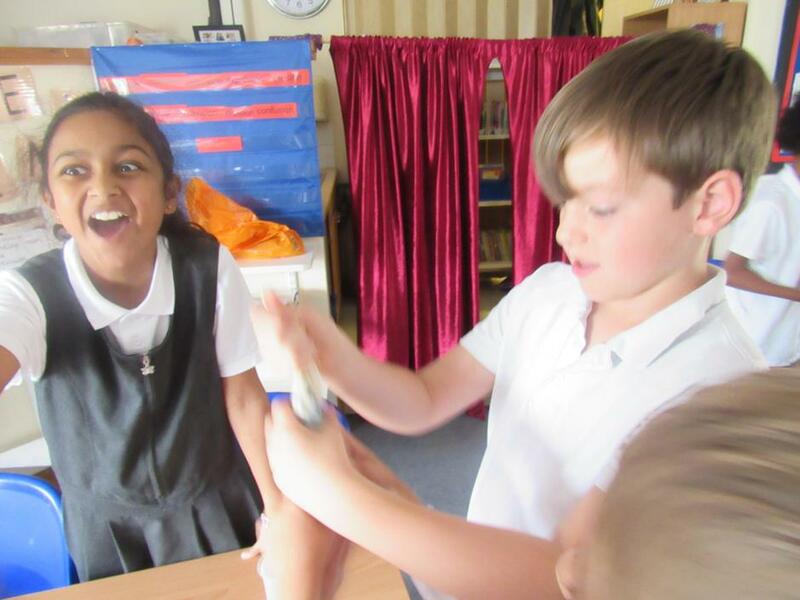 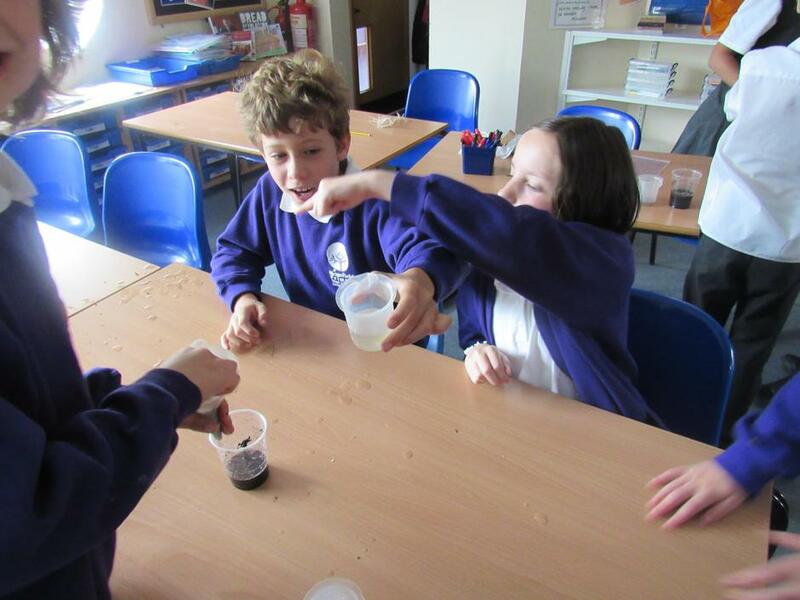 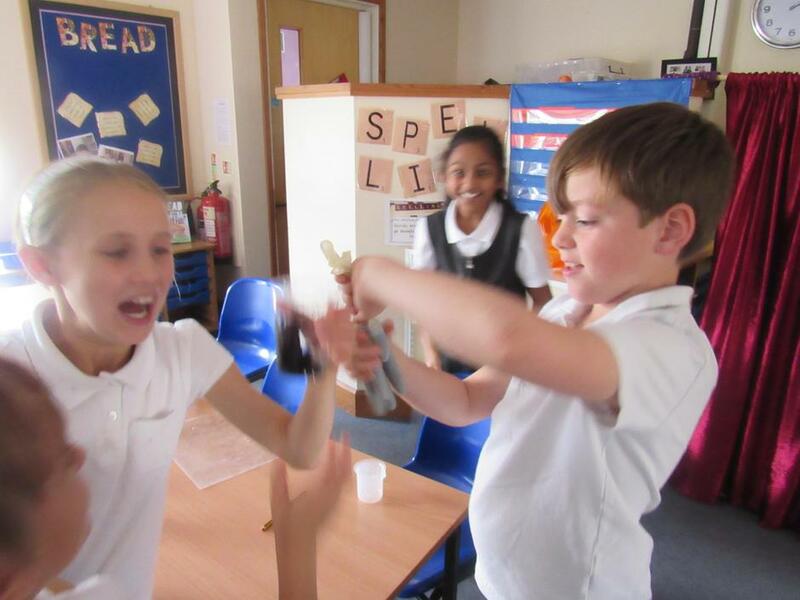 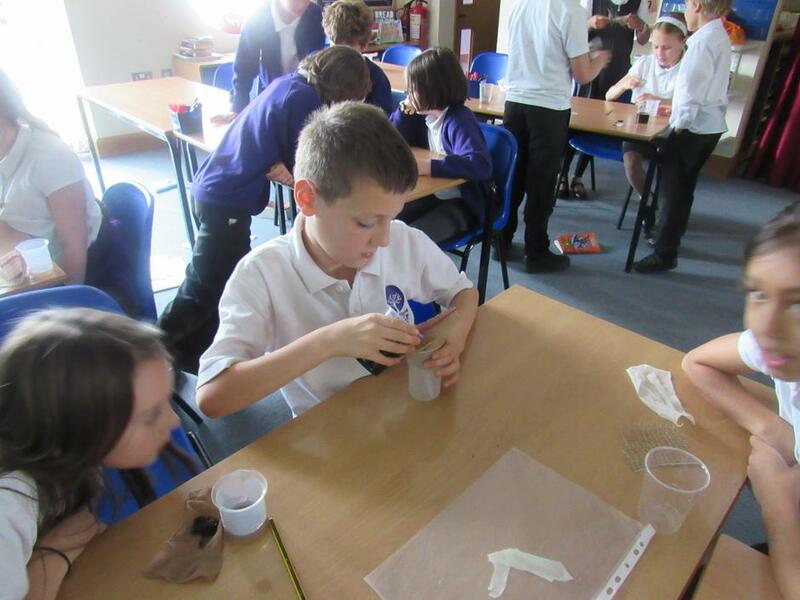 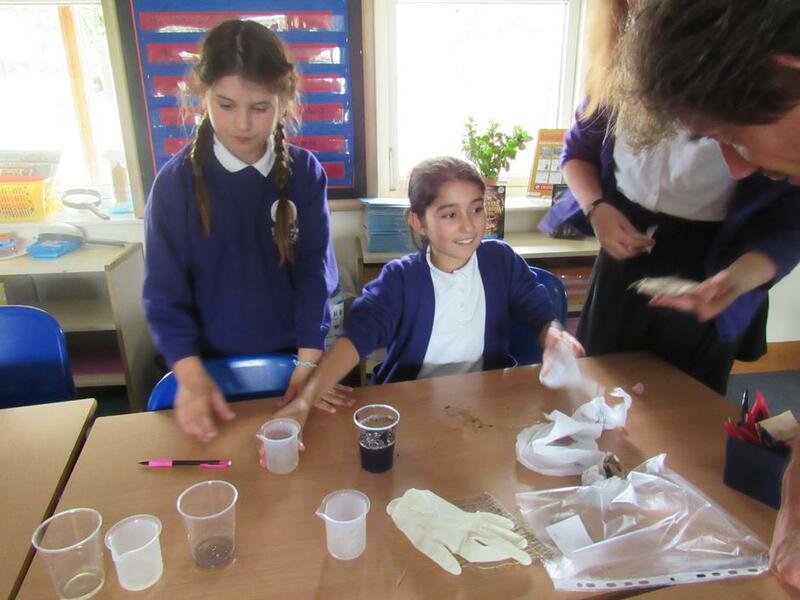 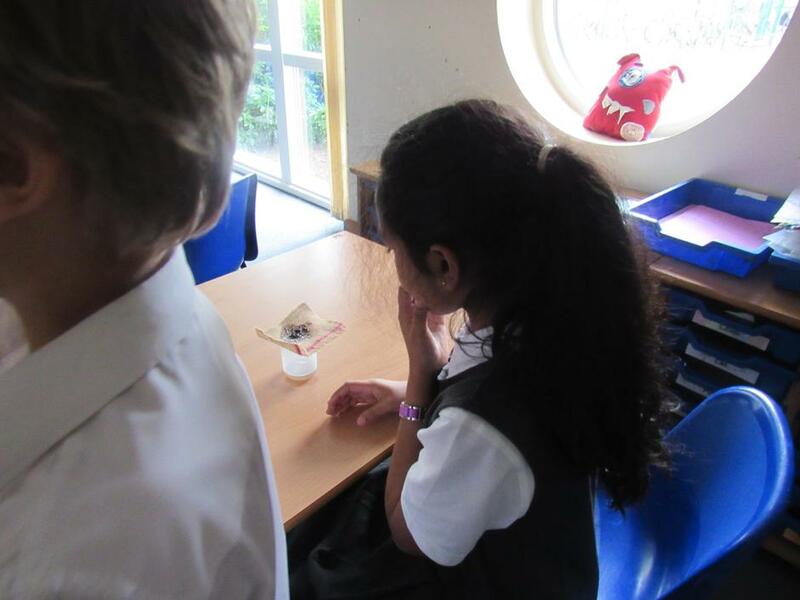 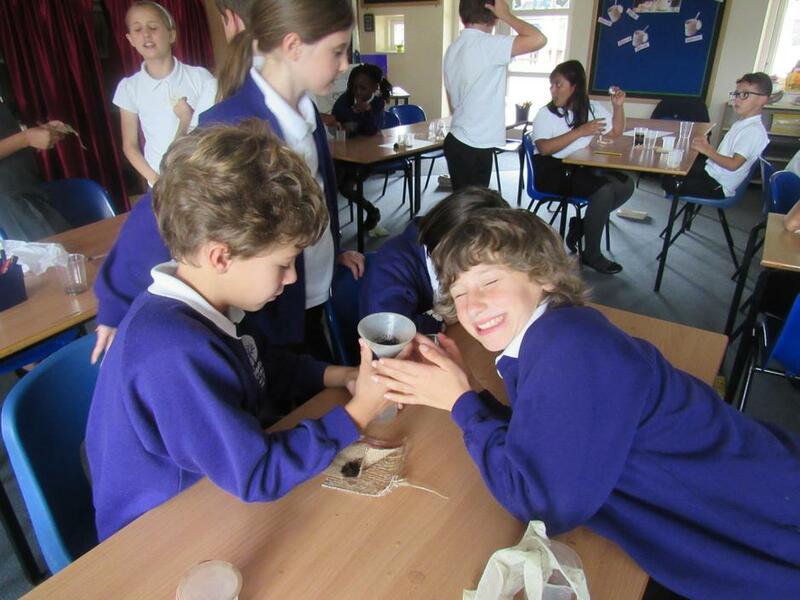 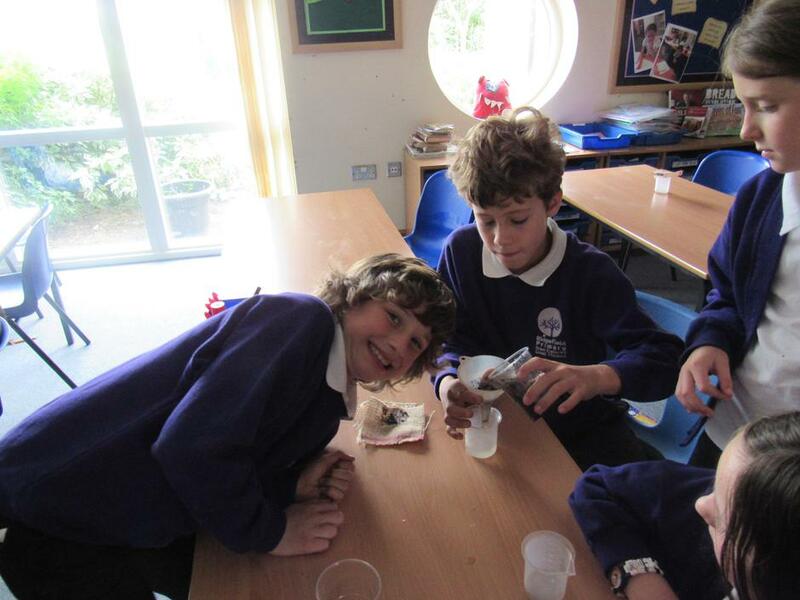 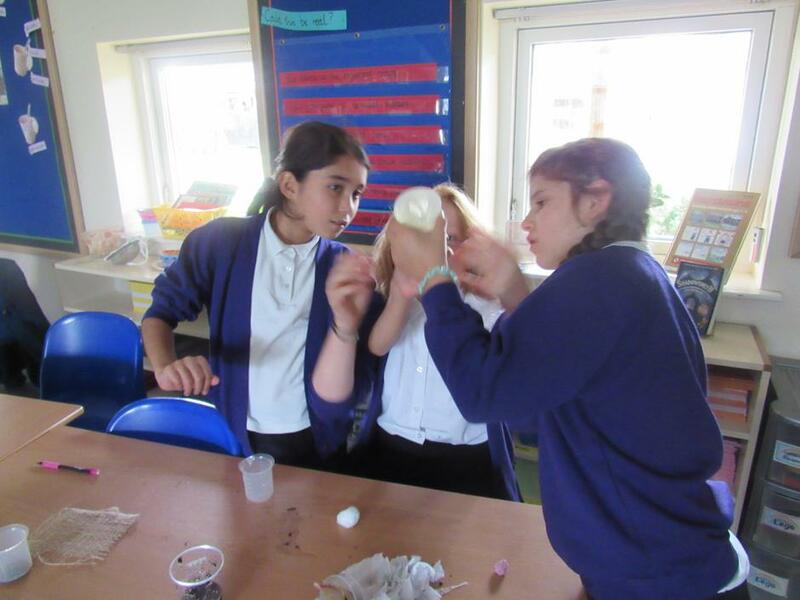 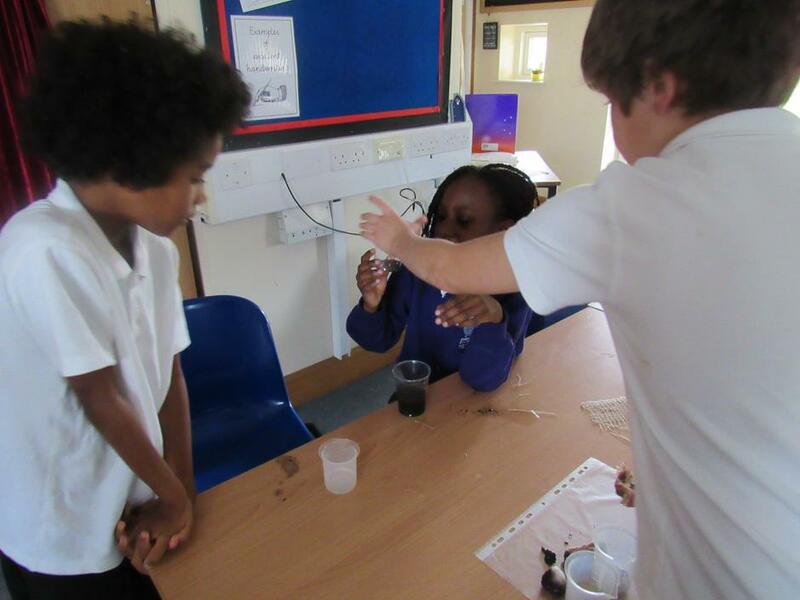 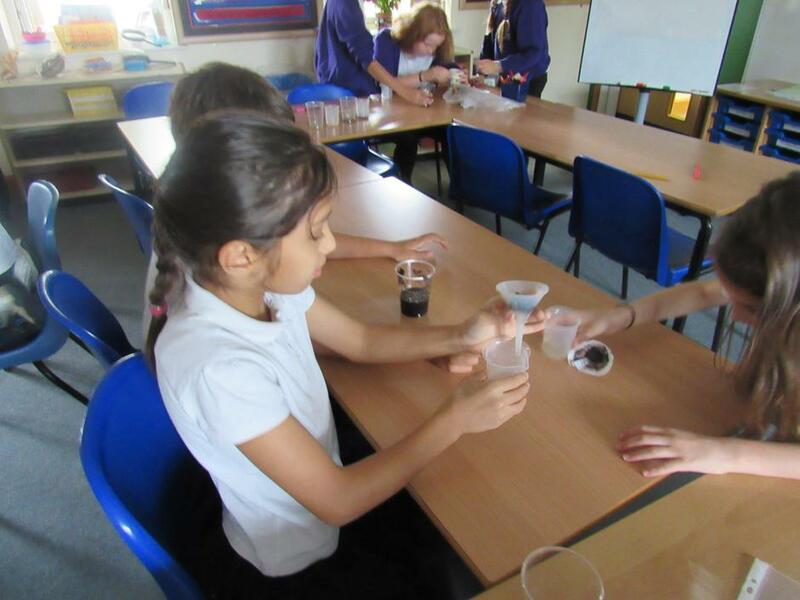 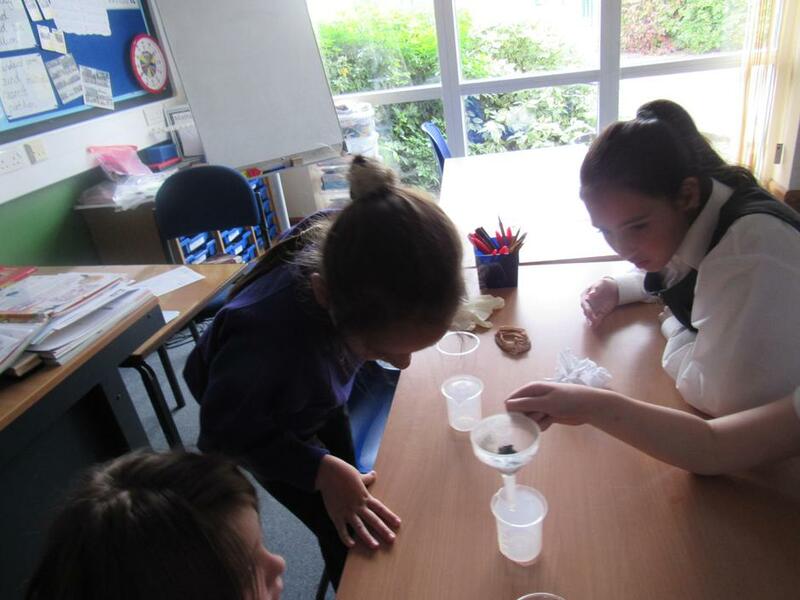 The scientists of 5T explored how to recover clean-looking water from a disgustingly dark and dirty mud 'soup', which had been lovingly and diligently created by Mrs Trew the day before. 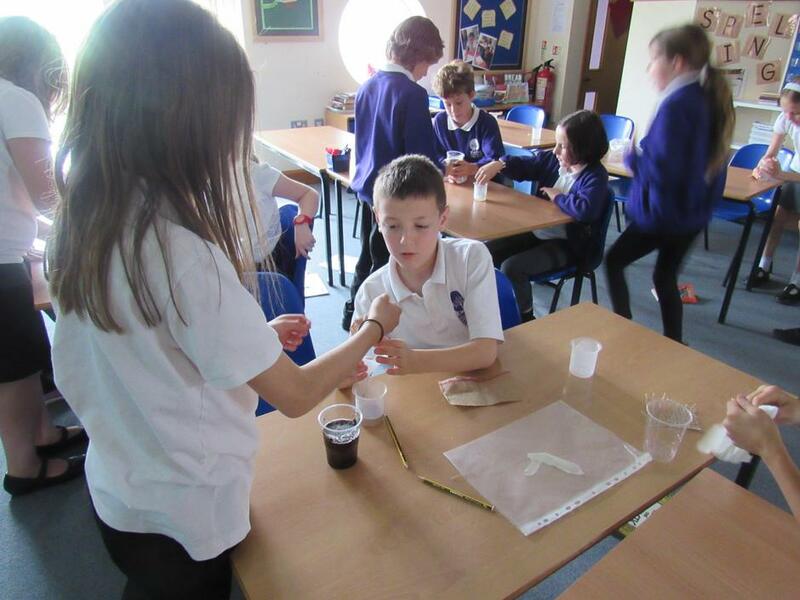 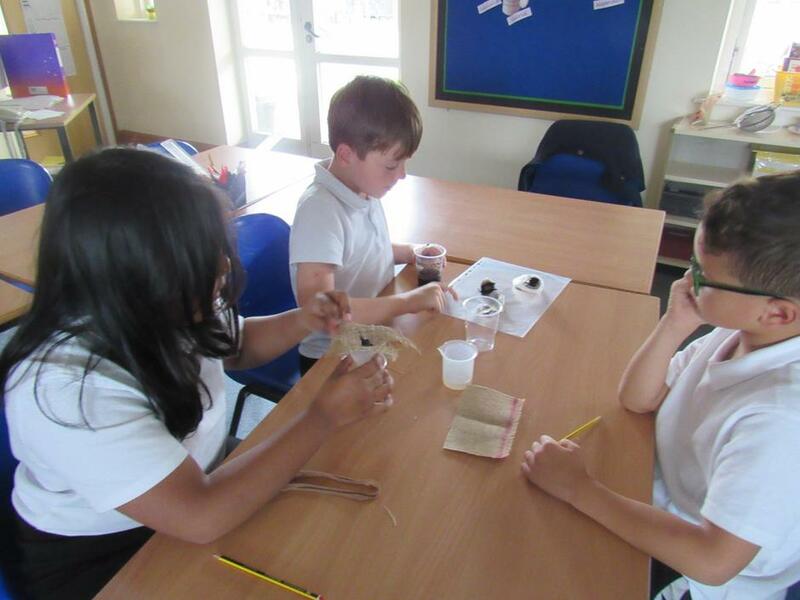 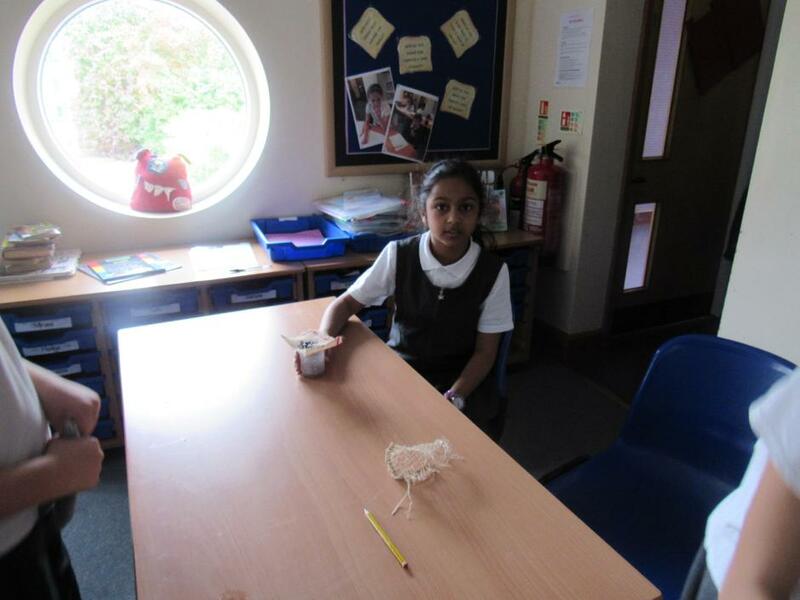 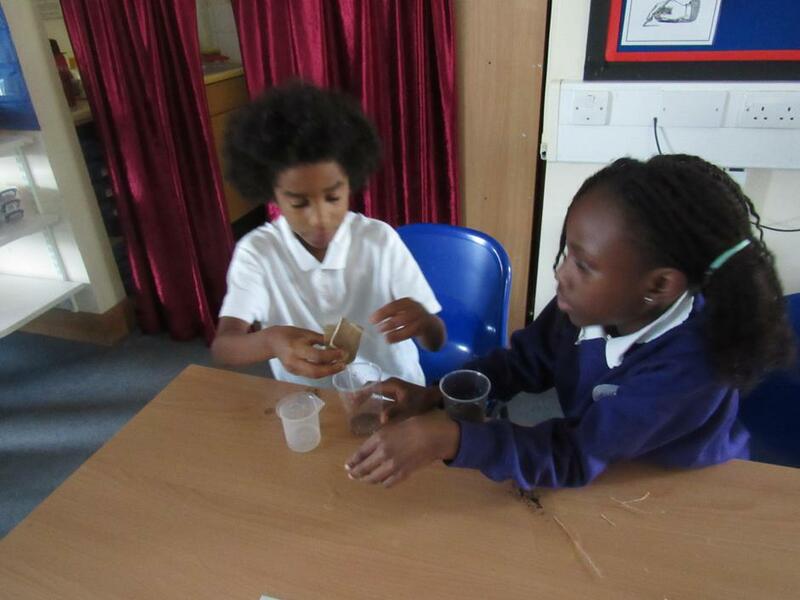 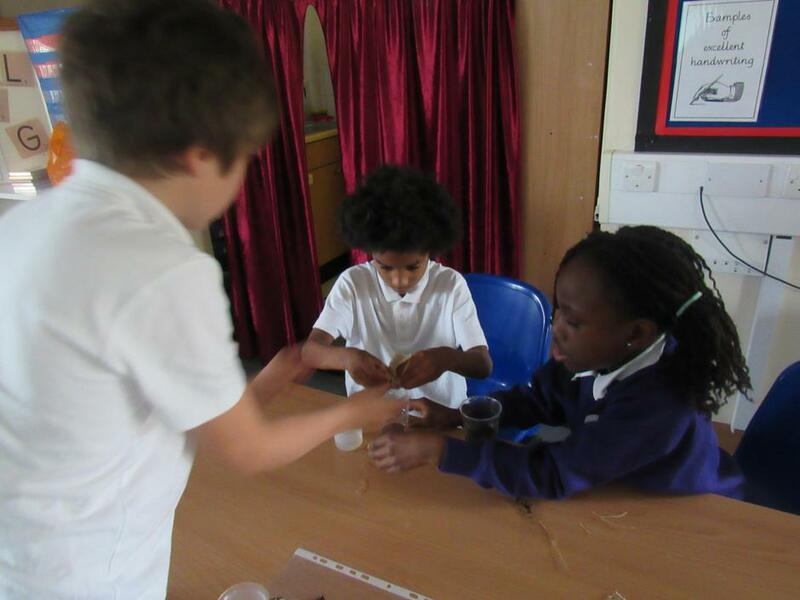 The children used a variety of materials to filter the 'soup'. 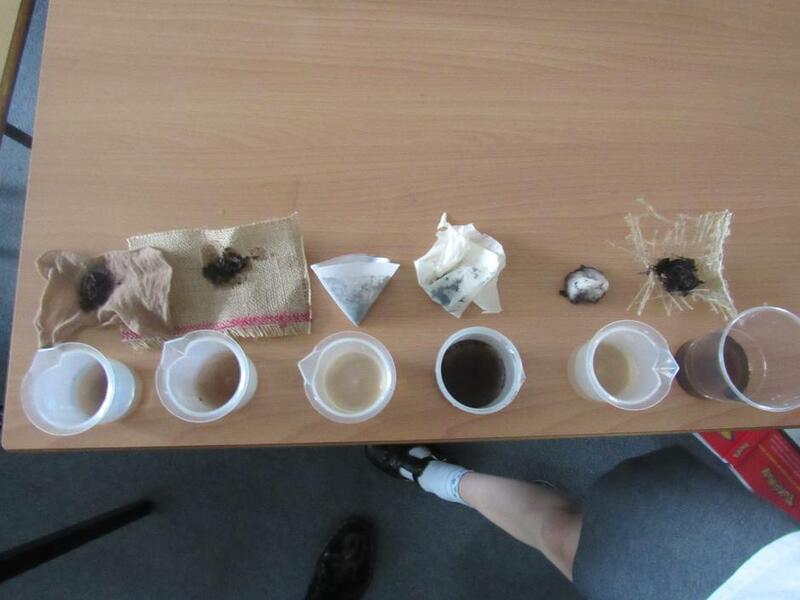 These included: strips of 100 denier tights; pieces of a hessian potato sack; a latex glove; some filter paper; plaited hairs from Mr Claughton's shaved blue beard; cotton wool balls; a small sheep and some teflon-coated ball bearings from a 1970's Scandinavian train carriage.